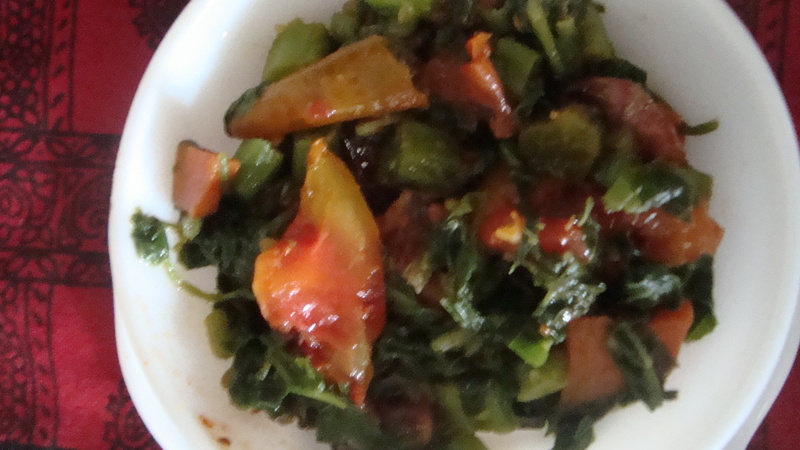 Today’s recipe is another way my mother cooks mulai keerai (amaranth greens, I think the scientific name is amaranthus blitum). I have posted earlier the traditional way it has been cooked in my home across generations. Since selecting the movie clips that I shared yesterday, I have been listening to lots of 80s and early 90s Indian movie music and remembering the stories behind the songs. I felt like sharing some over the next several posts. If you are not interested in reading about or listening to some south Indian movie songs, please skip directly to the recipe given below. As today is S.P.Balasubrahmanyam(SPB)’s 68th birthday, I will share a couple of his popular songs. While not having had formal musical training, SPB’s natural inclination towards music made him drop out of his engineering studies and pursue a musical career in the 60s. SPB is most known as a playback singer, having recorded more than 40,000 songs in several Indian languages according to my Wikipedia source. In addition to winning several Indian state and national awards for his songs, he has also composed music for several movies, acted in some and given voice overs for popular actors due to his multilingual skill. The Indian government awarded him the high civilian awards, the Padma Bhushan (2011) and Padmashri (2001) awards, for his distinguished service. The first is an upbeat song from K.Balachander’s Tamil movie Punnagai Mannan (translation: King of Smiles, 1986). This is the first song that SPB and Chitra sang together and features Kamal Haasan and Revathi. The soundtrack of the movie was composed by Ilayarajaa with A.R.Rahman, then a part of Ilayarajaa’s music team, at the keyboard. The second clip is from a concert where SPB sings a song of his from the 1979 movie Pagalil Oru Iravu (translation: A night in the day), soundtrack composed by Ilayarajaa. Hope you enjoyed SPB’s songs from the 80s as much as I enjoyed listening to several and selecting these two. 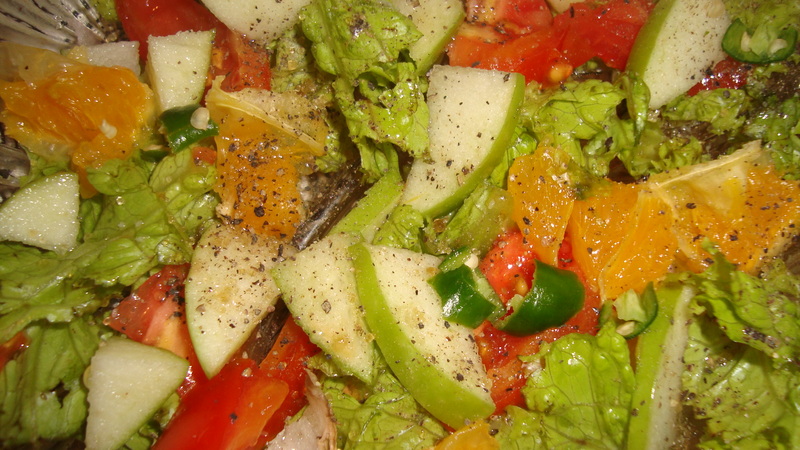 Wash the green leaves and chop them up finely. Cook the green leaves with a little salt and water for about 10 mins till the water dries up. Remove from heat. Slice the green chilli, onion and capsicum. Add a tbsp of oil to a separate pan and lightly sauté the three. Chop the tomato and add it to the pan. As per your taste, add salt and crushed chilli and continue to lightly fry for a few more minutes. Transfer the contents of the pan to the cooked green leaves. Mix and serve warm with rice.